Carrie Bates Dog Training – Build better training through your relationship. Build a better relationship through training. 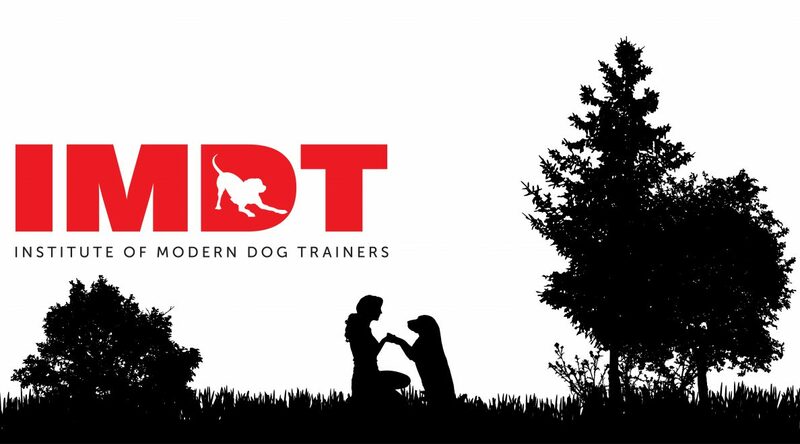 I am a CIDBT qualified, IMDT member and fully insured Dog Training Instructor. I can teach you how to understand and meet your dog’s individual needs through developing your relationship leading to a more fulfilling experience for you both. I provide training in classes or one to one using positive reward based techniques. I also offer behavioural work to deal with specific issues or behavioural problems. In addition I provide Pack Walks which are a great way for your dog to learn social skills and have fun at the same time. “I came to Carrie for help as although Frankies obedience was good, recall suddenly disappeared after his castration. This in a guide dog puppy is really important, no recall, no free runs as his new owner would not be able to trust him to come back. They wear a collar with bells whilst on a free run which enables his new owner to know where he is, not much help in getting him back though. The thought of him being unable to free run really upset me more than I can say. This is not something you can teach in class you have to be to be with ‘A Carrie’ on a one to one basis, we start by doing basic obedience so that he is focused on me, then we do Ping Pong, By Me etc. My lessons with Carrie have been very successful, he leaves to go into what we call ‘Big School’ this month where he will learn Traffic and the Harness. His new owner decides when to cross the road but a Guide Dog will stop them if it is not safe ie an Electric Car or a Bicycle, I have only taught him not to be afraid of heavy traffic and to travel on buses and trains. He has to learn to go off pavement when there is a parked car, to stop at crossings, to weave in and out of crowds and so on. Should all his training be successful he will be working by the beginning of next year ad thanks to Carrie will get his free runs with no problems. Recall is important for all dogs especially when in a park, many children are frightened of them and I have to say when a big dog comes bounding towards me I am a little apprehensive myself for me and my pup” Lynne Knapp. I’m looking for puppy training classes for my new dog. I’m in Godmanchester and we are available during daytime or weekends. Ideally looking for daytime class but could possibly do evenings – limited due to kids bedtimes! Please advise how you work? I plan to start a puppy class the last week of May or first week of June. I will hold the class at Hinchingbrooke Park on Sunday at 10am and will run for six weeks. The classes are £15 each, if you come to the first five, you get the last one free. I use positive reinforcement and focus on helping you to understand and communicate well to build a strong bond with your dog. Hi. Really need some advice. We have a much loved 2 year old dog Parker. He is a mix of several breeds but looks like a border terrier. He has always been loving and friendly and he follows me everywhere. My son is 7 and has aspergers and often has meltdowns. Parker can be unsure of my son’s meltdowns, however today as my Son was screaming and running at me, Parker ran and has nipped him on the bottom. It has drawn a little blood and looks like a graze. We are devestated as we did not think that he would do this. I can only think that he was trying to protect me. Is there any way that I can prevent this from happening. My Husband is now worried that now he has done it once then he will do it again. Any advice would be really helpful as Parker is a much loved part of this family and I really don’t want to have to re home him as it would break my heart. My son will always have meltdowns so the situations are unavoidable. You must all be so upset at what has happened. I can’t make any promises that this will never happen again. Although he may have been trying to protect you, it wasn’t a stranger that he bit, it was another member of the family. You said that your son often has “meltdowns” and it may be that your dog has previously given him warning signs by exhibiting lots of calming signals (lip licking, yawning, etc), going on to growling/showing teeth and barking. If none of this has stopped your son and your son does hurt you, your dog may have believed he had no choice but to bite him. I’m assuming this did stop your son and so your dog now has confirmation that biting works. Therefore he will be inclined to do it again. You may be able to manage it by training him to go to his crate or out of the room when your son is having a “meltdown” as long as he can be calm. If he is getting agitated though, he is likely to find it very hard to stay away unless you can shut the door. I would have to say as well that you need to consider your dog’s well being as well as your son’s and if he finds your son’s outbursts that distressing, it may not be fair that he is exposed to this. All your options depend on how frequent the outbursts are, how extreme they are, how your dog usually reacts, the history of his relationship with your son, other members of the family and other people. I couldn’t advise you properly without meeting you all and doing a full assessment. As I said there are no guarantees and once a dog has bitten there is always some risk, however small that they could do it again. The only absolute guaranteed safe option is to rehome your dog although I understand why you would be so reluctant to do so. I wish I could give you a more optimistic answer but it would be irresponsible to do so. I hope your family is not too distressed by what has happened. Hi Trudy, thank you for getting in touch. I can understand how frustrating and upsetting Mollie’s behaviour must be for you. A hyper Labrador is quite a handful! I would need to do a behaviour assessment in order to get a clear understanding of her behaviour, what drives and reinforces it. We can than devise a behaviour management and training plan in order to address the issues. Let me know if you would like to arrange this and we can agree a time for me to come and meet you and Mollie. We have Shih tzu called Enri he is 18 months old, we are having. The same, I’m wondering if he learnt this behaviour from her, sadly she got ill and had to say goodbye, so Enri was only with her for a shot time, would be glad. If you could help, I would love to let him off the lead to play with the other dogs. It sounds like you’ve had a really stressful time of it. I would need to do a full behaviour assessment to establish what could be done to help him. It will depend on the type of aggression he is demonstrating as to what approach would be helpful. I would be happy to meet with you and discuss it all with you if you like. I charge £40 for the assessment and I will write it up and give you a training plan to implement. We can then work out how much and how frequent you would like me to follow up. If you would like to arrange a time to do this, let me know. The stress hasn’t finished yet then! I look forward to hearing from you when you are ready. I’ve been looking at your website and wanted to email with a few questions, my dogs is a Labrador/staff mix and he’s 4 years old, he’s generally pretty well behaved but he pulls a lot on the lead which can be hard to manage due to his strength! I also find that he’s quite selective with when he wants to listen to me, if I take him to the park I let him off the lead as he loves playing fetch with his ball but the minute he sees another dog, he will just ignore my commands and run over to them which has resulted in some tricky situations with dogs that don’t want him in their personal space! I’m basically emailing to see if these are things that you feel can be managed with some training or not. We have a 3 year old beagle. His behaviour around the house is just brilliant so lovely with the kids youngest being 7m. About a year and a half ago he was stolen and thrown from a car on a parkway. Since this he can be a nightmare to walk. He pulls and barks so aggressively (even thou he isn’t) at other dogs. We used to have him off the lead and he was fine. But started disappearing in hedges etc and taking forever to come out. When we go to people or them to us he is absolutely fine with any dog even if he has just met them as he is off lead and running around with them. We just need to make it a pleasure to walk him again. Thanks for getting in touch. What a horrible ordeal your boy went through! I would be happy to arrange a 1:1 session with you to work on your specific issues with him. Alternatively I will have a new course of classes starting early December if you prefer. Recall can be a real challenge for Beagles as it is hard to get their attention once they have a scent! Hello I think a 1-1 esp to start with would be the way forward. How much is the sessions and how do we arrange? Hi Clare, the sessions are £35 each. If you’re happy to give me your number, I can ring you over the weekend and we can arrange a time to meet. Or you can message me on Facebook or ring me on 07828 249548. I am looking for help with our Staffie, he is nearly 4 years old. Very friendly but needs more socialising around other dogs and recall work. Don’t know whether a one to one is gong to be better or a training class, will be advised by you. Can you also let me know how much this would be please. Hi Helen, thank you for getting in touch. I would be happy to help you with your Staffie. It would probably be best to have a chat to decide which would be the most helpful approach or whether a combination of the two would be best. 1:1 is £35 per hour session and the classes are £15 per class. If you can give me your number via Facebook message or email (contact@carriebatesdogtraining.com), I will give you a ring. Alternatively, please feel free to ring me on 07828 249548.